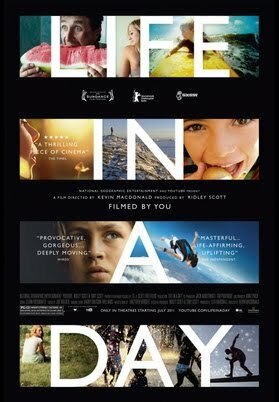 Life in a day is a film made by YouTube to capture lives of different people around the globe on 24 July 2010. Last year YouTube asked its users to capture on film their day on 24 July and upload them. They then assembled more that 4,5 00 hours of footage from the users from 192 countries and made a film directed by Oscar-winning Kevin Macdonald. Editor Joe Walker spent more that 7 months editing the clips into a 1 hour 35 min film and the result is fantastic to watch. All the clips are captured by handheld cameras but quality was really good. There are a few highlights of the movie I loved. 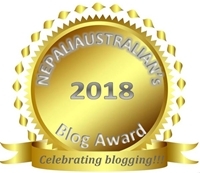 But let me start by saying that I love that Nepal was featured in the film, a big thanks to the Korean cyclist on a world cycling tour, who was in Nepal that day. Watching this film made me realise again (some times I forget it) that there are so many different problems people face in their life while I am upset for not finding a right dress to go out in, there are people out there in the world at that moment who are starving or sick. Some memorable clips are of a South American boy who shines shoes in the street for a living, the man who proposed to his girl with bent knees, a gay guy coming out of the closet, cute twin babies, a photographer walking the streets of Kabul (he said, “People think streets of Kabul are not safe but look it is safe. At least for us” 🙂 ). I didn’t like the way a cow was slaughtered in the clip and also was sad to see an Americana mum with cancer as well as a life of an army wife. Some people have very hard lives and it is important that we realise that. Also there is a clip of a sick Australian man in the hospital after his open heart surgery and African culture where a woman who kneels before her husband daily. One guy even films himself doing graffiti and stealing from the supermarket. It was sad to see a footage of a panic at a festival in Germany which caused death. This entry was posted in Movie Review and tagged army wife, great flim, handheld cameras, kevin macdonald, life in a day, movie review, open heart surgery, twin babies, youtube. Bookmark the permalink. Thanks gal. It was an eye opener for me.. I am so glad you directed us to this video. I am gonna watch it tonight with some homemade deshi tea! Wow, this was a great film. It really shows how we are all connected as human beings. I liked the “What do you love part?” a lot. It was a great idea of YouTube to get this honest and real life of many people out in open for us to see. What a fantastic video, I will come back and watch the rest for sure! We can learn so much from each other… I’ll try to watch this over the weekend, although the cow part… have to pass through that one. I just loved this film and watching this made me grateful for what I have.